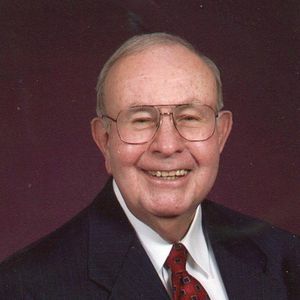 The Reverend Earl Hollis Glenn, 88, died on Tuesday, September 24 at Kitty Askins Hospice Center. Funeral Services will be held on Thursday, September 26, 10:00 a.m. at Stoney Creek Original Free Will Baptist Church. The Reverends Johnny Sullivan and Barry Williamson will officiate. Entombment will be in Wayne Memorial Park immediately following the service. The Reverend Glenn was a native of Durham, North Carolina, the son of Edward D. Glenn and Coy Inez Glenn. He retired from the ministry, where he served for sixty-three years. He is preceded in death by his wife, Marie Gilbert Glenn, of sixty-three years and great-granddaughter Emily Benton. He is survived by three daughters: Linda Murray (Jim) of Ohio and the Philippines, Holly Glenn of Elizabeth City, and Jan Benton (Colby) of Pennsylvania; three grandsons: James Murray (Meghann), Captain Matthew Benton (Andrea), USMC, and Mark Benton (Jody); four great-grandchildren: Aidan and Taylor Murray; Camden Benton; and Jacob Benton; and special friend, Ramona Phillips. The family will receive friends Wednesday, September 25, 2013 from 6:00 to 8:00 p.m. at Seymour Funeral Home in Goldsboro. Flowers are welcomed, or memorial contributions may be directed to the Earl and Marie Glenn Endowment Fund, Mount Olive College, 634 Henderson Street Mount Olive, NC 28365. Please enhance this tribute to Earl by adding your memories and photos. Your inquiry has been forwarded to Seymour Funeral Home & Cremation Service.